BOTOX®. The word seems to be on everyone’s lips these days (not to mention eyes and foreheads). That’s because BOTOX® has revolutionized the way we treat lines and wrinkles on the face, offering dramatic improvements that reverse the effects of aging. 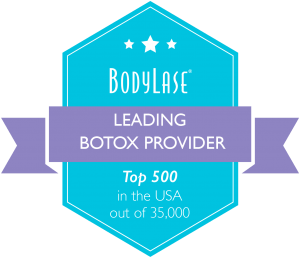 BodyLase® is in the Top 2% of BOTOX® Providers in the United States and is proud to be an Allergan Diamond Status Provider! This proven, therapeutic muscle-relaxing treatment is best suited for moderate to severe crow’s feet and other “expression lines.” You know the ones: from squinting, laughing, frowning, smoking and worrying. They can make you look older, angry, tired or stressed. And they can make you feel less confident about your appearance. BOTOX® is a safe, effective treatment that takes approximately ten minutes to complete. Using a very fine needle, BOTOX® (a purified protein) is injected into the specific muscle that is contracting and causing the wrinkles to form. 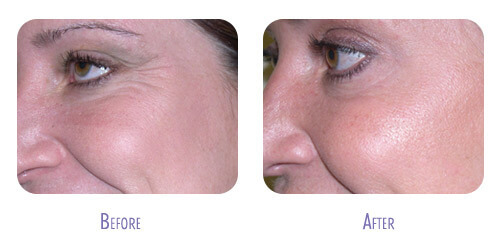 The injection simply relaxes the muscle and voila!… Your skin becomes unwrinkled and smooth. The results are truly amazing. The effects of a single BOTOX® treatment will last approximately three months, with additional treatments often lasting longer. The procedure requires no anesthetic — you’ll feel only a minimal “pin prick” sensation. You can return immediately to your normal activities. Within a few days, you’ll enjoy the full effects of your treatment: smoother, wrinkle-free skin that makes you look (and feel) younger and happier. The BodyLase® medical staff is specially trained in the administration of BOTOX®, as well as other skin rejuvenation therapies. A private consultation will help you explore the possibilities and choose the treatment that’s right for you. 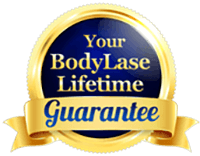 BOTOX® Treatment at BodyLase® a Raleigh Spa. *Individual results may vary.